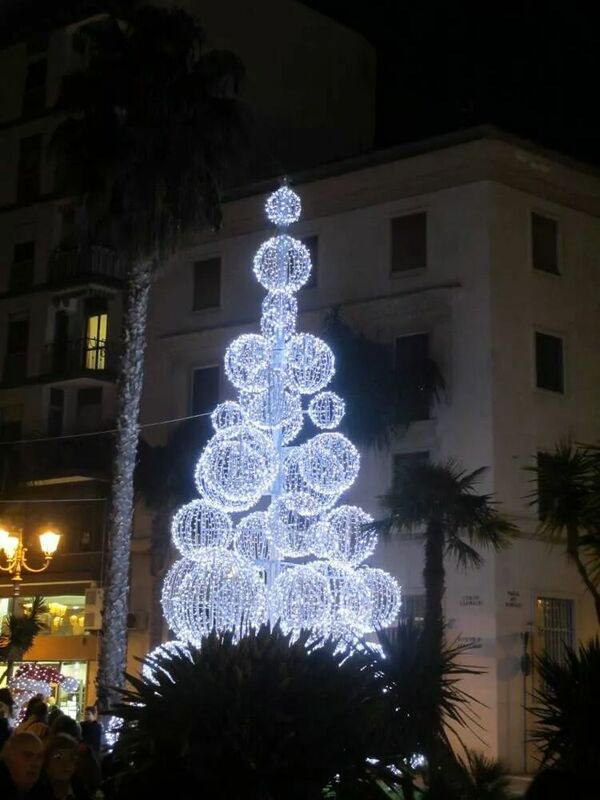 It is beginning to look a lot like Christmas in Brindisi, the lights are up and the Christmas Market is well underway. And this year it looks like they have got it right! There is live music, street food and plenty of traditional wooden huts selling beautifully hand crafted gifts.The huge white glistening bauble tree is a welcoming sight when you first arrive at the market, as is the illuminated Santa that sits beside it. This is a great photo opportunity for kids of all ages, and yes, I had to have my picture taken with him and our friends! 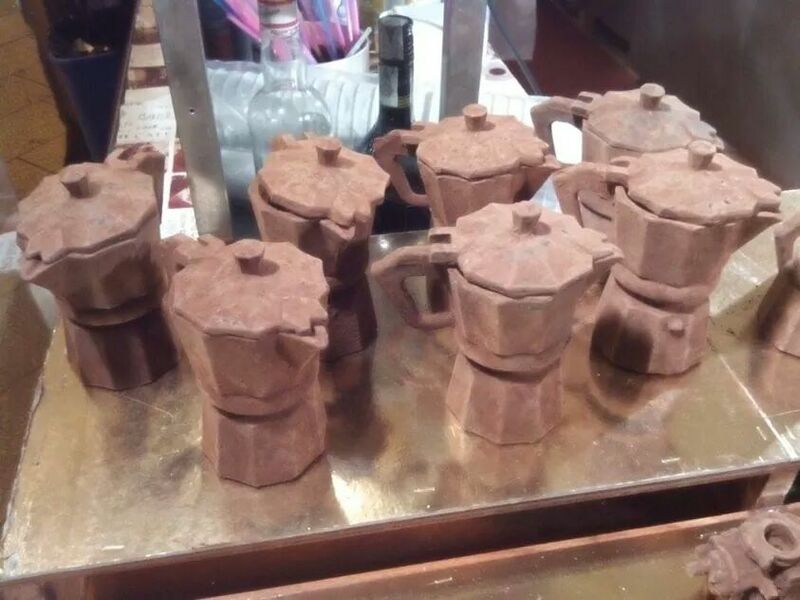 The main pedestrian street, Corso Umberto, is filled with the scent of chocolate, and as you wonder down the street, you can’t help drewling at various handcrafted pieces made completely out of chocolate. I was most impressed with the Moka coffee pot. The detail was amazing! And I couldn’t leave without taking some chilli chocolate home. The other main area is Piazza della Vittoria, which is buzzing with people, as this is where the street food is, and of course where the Italian’s head to first! Here you can find traditional local favourites: pettole, panini, crepes and strangely, a typical Argentina dish called Empanadas, which my husband was chomping at the bit to try, but we arrived too late and there wasn’t anything left. Meandering through the streets you will find plenty beautifully handcrafted artifacts for decorating the tree, house or unique gifts for the kids. There is live music, singing which gives you a warm and fuzzy feeling (and that’s not just from the mulled wine) that Christmas is coming. Glad you had fun Raye! Perhaps all the stalls are only open at the weekend. 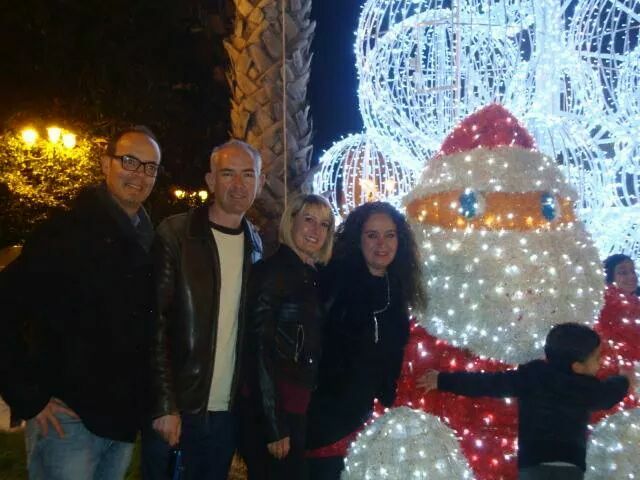 I am planning another trip this weekend as we really enjoyed the festive atmosphere.